Ex-couple Luis Manzano and Angel Locsin are now officially back together. For a few weeks now, they have been featured several times after Angel admitted in an interview that she still has feelings for the Minute to Win It host. To be fair, it was also shared that Luis did his part by initiating the reconciliation during the holidays. 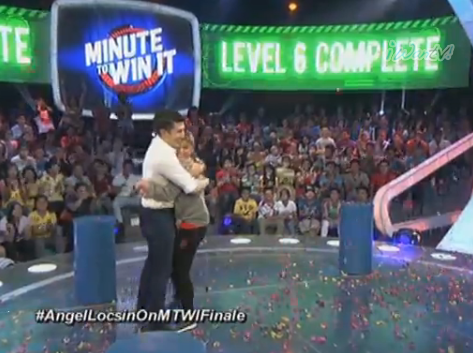 Earlier today, in Minute to Win It‘s final episode, Angel sealed the deal and announced that she’ll say yes to being Luis’ girlfriend if she wins the Bottoms Up challenge. And she did! 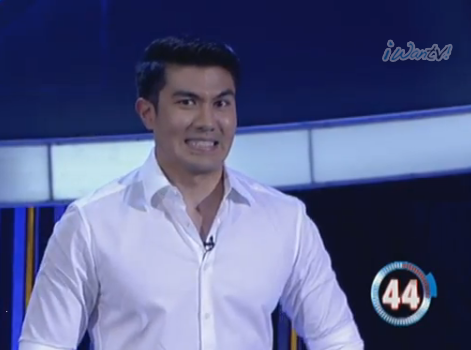 Since the episode was taped, Luis already revealed their relationship status in Buzz Ng Bayan last Sunday.